According to a recent report in The Washington Times, China is constructing its second overseas military base in Pakistan at Jiwani in the Gulf of Oman, as part of a push for greater power projection capabilities along strategic sea routes. 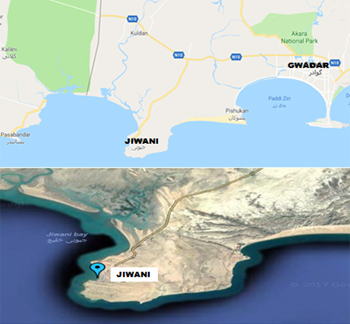 Jiwani is much closer to the Straits of Hormuz than Gwadar; crow flight distance between Jiwani and Chahabar port of Iran is just 35 km whereas Gwadar is 72 km from Chahabar. More significantly, Jiwani is a large peninsula jutting out in the sea. Presently Jiwani is being showcased as a joint China-Pakistan naval and airbase base which is just 56 km distance from Gwadar. However, considering that Jiwani is a huge 24-km long peninsula already having an airstrip, it may well become China's Eastern IOR Command (sequel to the US PACOM), with China's Western IOR Command at Djibouti-Seychelles. Chinese troop presence at Jiwani and Gwadar in conjunction Pakistani ports of Pasni, Omara and Karchi will not only provide control of the entire Pakistani coast to China, the continuum will carry on to Africa. PLA and Pakistani Military officials reportedly met at Jiwani on December 18, 2017. According to sources, the large naval and air base will require the Pakistani government to relocate scores of residents living in the area. Plans call for their relocation to other areas of Jiwani or further inland in Baluchistan province. The Chinese also have asked the Pakistanis to undertake a major upgrade of Jiwani airport so the facility will be able to handle large Chinese military aircraft. Work on the airport improvements is expected to begin in July 2018. The naval base and airfield will occupy nearly the entire strategic peninsula. Pakistan's military has already been moving additional troops and security forces into nearby Gwadar. In March 2017, China had indicated plans to increase its marine corps from 20,000 to one 1,00,000 for deployment overseas, including at Gwadar and Djibouti. In July 2017, Sri Lanka's Hambantota port was officially transferred to China for 99 years since Sri Lanka had to service the debt on the loan it took from Exim Bank China to build the port. In August 2017, China commissioned its first overseas naval base at Djibouti in the Horn of Africa. It is a virtual fortress, far more than a strategic support base. China's agreement with Djibouti ensures Chinese military presence there until 2026 with a contingent strength of up to 10,000. Gwadar Port in Pakistan, handed over to China for 49 years, gives China immense strategic advantage because of its proximity to the Persian Gulf and the Strait of Hormuz. 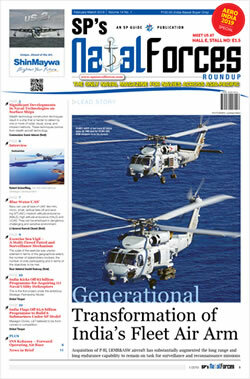 China has indicated plans for deploying PLA Navy (PLAN) to 'safeguard' Gwadar. An article in China Daily Mail on November 22, 2014 quoting Sri Lankan confirmed Chinese plans for: 18 naval bases in IOR Hambantota (Sri Lanka); naval bases in Pakistan and Myanmar; naval supply base at Walvis Base (Namibia); 18-19 overseas strategic supply bases in Djibouti, Yemen, Oman, Kenya, Tanzania, Mozambique, Seychelles, Madagascar and "other parts" of IOR for supplying, berthing and maintenance bases - different from US-type of bases albeit without specifying what the difference is. 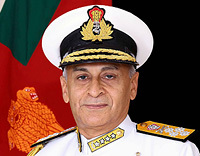 Not only has China engaged in ports development in Myanmar, Bangladesh, Pakistan and Sri Lanka, Chinese economic ties with Africa, and the concomitant rise in its naval profile across the IOR have been conspicuous. In Maldives, China's Integrated Development Project rides on huge concessional loans and aid financing; loans are on such high rate of interest that Male will default unless given a waiver. So the waiver will come with a strategic price - in exchange to 'control' over maritime projects as done in Sri Lanka including establishment of naval presence. China recently commissioned its second aircraft carrier, is building another six, and her nuclear submarines and warships have been crisscrossing the IOR. In July 2017, China had unveiled a massive ship described "magic island maker"; named 'Tian Kun Hao', the ship is capable of digging 6,000 cubic m per hour, equivalent of three standard swimming pools. That this would be used in the Indian Ocean is obvious with China having met most of her plans in the South China Sea (SCS). On January 4, 2018, Xinhua reported that China's indigenous underwater glider named 'Haiyi' has successfully fulfilled a scientific observation in the Indian Ocean. It can reach a depth of 6,329 m (a world record) and travelled 705 km during a mission. PLA presence in Gwadar and Jiwani, in conjunction other existing and planned Chinese establishments, pose greater strategic challenges for India and the rest of the world, given China's actions in the SCS including scant regard to global norms. Our policy makers need to take serious note of these developments.